Manuela Engleitner is Project Manager at wiiw, where she is responsible for the administrative, financial and legal aspects of research projects. She has been administering several EU-funded research project as well as projects for national funding bodies. Her tasks include also the organisation of national and international workshops and conferences. 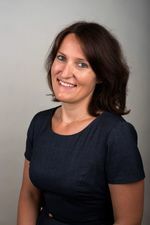 Manuela Engleitner obtained her Master’s degree in International Development and her Bachelor’s degree in Political Science from the University of Vienna.